Paris What do I know? The young organizer was worried that the room we had for screening the documentary on ACORN called “The Organizer” in Paris was too small. More than 40 people had said they were coming on Facebook. I assured her we would be lucky to break 20 or 25, especially since the movie was virtually all in English except for some short pieces in Spanish in Honduras, Kannada in Bengaluru, and French in Cameroon, and Facebook “likes” have no meaning any more. Wow, was I wrong! I knew something was happening when we already had 8 to 10 people 15 minutes before showtime. When the movie began we had close to 40 and others trickled in during the first 30 minutes. And, despite the close, warm room and tightly packed with people sitting on tables and standing along the edges, and the breaks for translation every 10 or 15 minutes, the crowd stayed until the bitter end. Subtitles, S’il vous plaît !!! At the end of the movie I was able to give the usual thanks to our affiliate, Alliance Citoyenne and our partner ReAct, but the questions were very interesting in some cases, even for me as increasingly a veteran with a number of these screenings under my belt. I was asked the usual questions of course. Was Bernie Sanders making a difference and was there hope there? What were our plans internationally? Could we organize all over France, to which I answered, you’ve seen the documentary, so you know we believe we have to be truly national to build national power. How do we organize, to which I was able to answer: read Nuts & Bolts, and they were able to rejoin, how soon will it be translated into French – when I answered perhaps in a year, there were actually howls of protest. I love organizing in France! Where once in New York I was asked what was the chance of ending capitalism, in Paris I got a question from what of the movie organizers, about where ACORN stood on creating the revolution. Both questions would stump the stars! One of the most interesting questions I got was about Brietbart.com, Fox News, Glenn Beck and Megan Kelley. In the United States, several asked, aren’t there penalties and recourse for the kind of vicious, public media attack ACORN had experienced in 2009 and 2010? Usually, when ACORN raises the principle of free speech, it is to defend our right to speak as others are trying to prevent our leaders and members from speaking. This time I was answering that we have free speech and public discourse, even at the top of our lungs, in the United States so the only recourse is speaking back when attached, even if unable to access the same kinds of major megaphones Fox and others have. There was head shaking and looks of disbelief. Several said it would have been different in France, setting me back on my heels as I continued to argue that we had to be able to take a punch and keep fighting. Paris Listening to the reports from the head organizers in the United Kingdom, France, Canada, and operations in the United States was so exciting. There had been real progress in one campaign after another. Questions were fired back-and-forth on the details of various campaigns. Exactly what was involved in the landlord licensing victory won in Toronto? How had the Sheffield organizer used Google keywords to find a mention of the codicil in the giant Spanish bank’s Santander’s lending agreement to UK landlords that forced a rent increase annually – that a quick campaign was able to upset. It was exciting to hear about our new organization in Aubervilliers beating back Veolia’s efforts to raise water prices and privatize their system, especially since Local 100 had long experience with the same company where we represent clerical and accounting staff for the New Orleans regional transit authority. Raising the hood on the nuts and bolts of the organization in report after report, it was impossible to ignore the impact of social networking recruitment efforts that were being bolted on the basic organizing model. Where we had begun counting “provisional” members in ACORN over the last dozen years who had expressed a threshold interest in ACORN and were in a targeting process to move up the ladder to full membership, the advent to so many other measures of social network indicating support were also being measured more intently. Petition signers and other overt expressions of support were being databased and integrated into meeting and turnout calculations, assembled into phone and autodialer programs, and counted reliably in the same way as regulars and full-pay members. The numbers add up. With ACORN Canada at 110,000 members, 80,000 are associates and provisionals. ACORN in England has utilized social media in their basic organizing more aggressively than many other operations given their extensive base building among private tenants. Provisional and associate members now number 15,000 in the less than three years of the organization’s work. In Scotland, there are 3000 in the provisional-associate category. 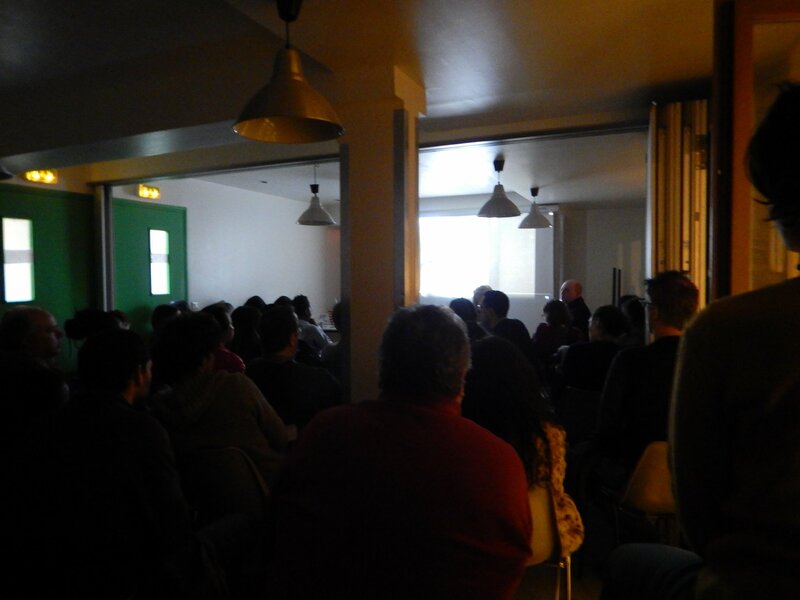 The organizing in France has been more traditionally based in social housing but still counts more than 800 supporters in Aubervilliers after only a year of organizing for example. The high level of internet access and smartphone proliferation in our English tenant base has led to an exciting level of experimentation by ACORN in Bristol, Sheffield, and Newcastle. Tools by Action Network have been valuable. They have had more experience in using Slack than many of the other organizing operations who are more reserved in their utilization. They are using Facebook creatively to set up recruitment meetings that result in an extremely high sign-up success rate. I had heard something similar in Hungary from some organizers that were still able to use Facebook events on turnout, which we had largely discounted in the USA. They felt they were able to reliably count on one-of-three to attend. As always there are changes and new technology, so the organizer were eagerly soaking up skills and techniques to see what might make their organizing more effective.